The latest report of Social Media Examiner states that Facebook is still in the lead of ad channels for both B2C and B2B marketers. 72% of B2C companies use Facebook Ads as their primary social advertising channel. With more than 2.2 billion monthly active users, this ad platform offers incredible targeting options. The high quality of this ad channel makes it a perfect traffic source for A/B tests. 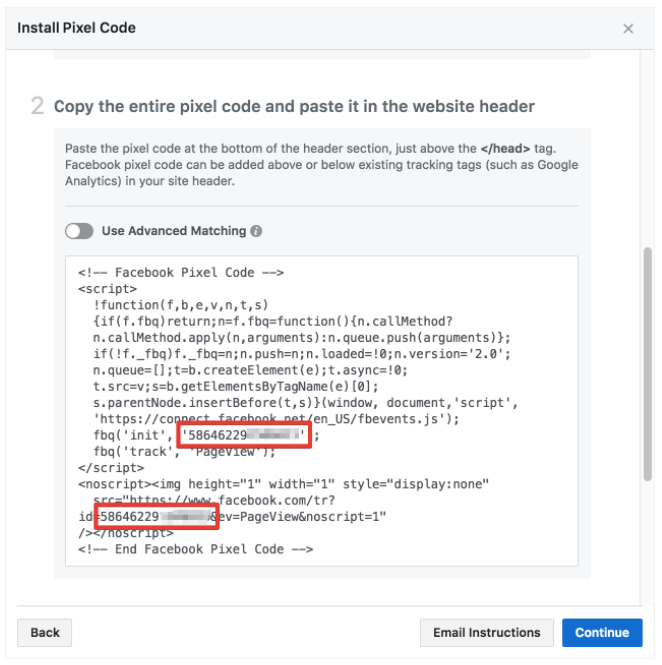 SplitMetrics decided to help publishers to extend their Facebook Ads experience even further introducing Facebook Pixel integration which helps to increase conversion rate and lower CPI. 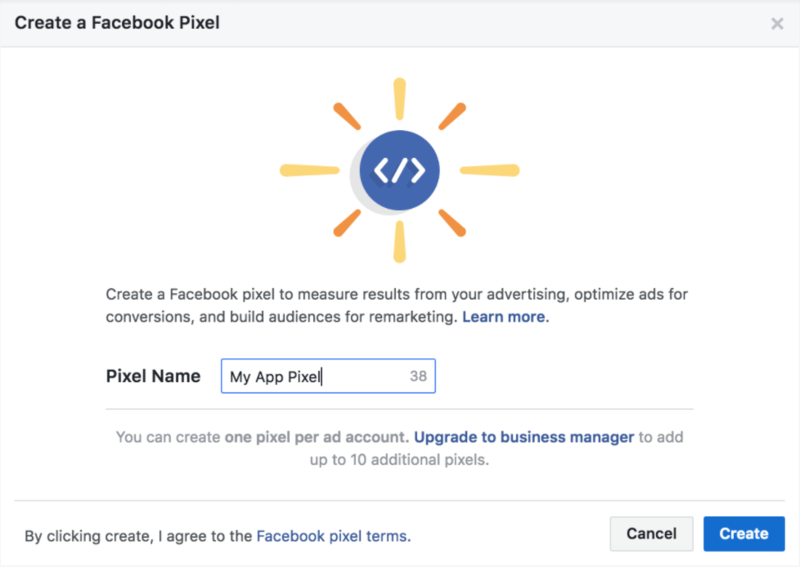 The Facebook Pixel is an analytics tool that helps you evaluate the efficiency of Facebook Ads campaigns. It gives you the understanding of how users interact with your ads making conversion tracking, optimization and remarketing way easier. 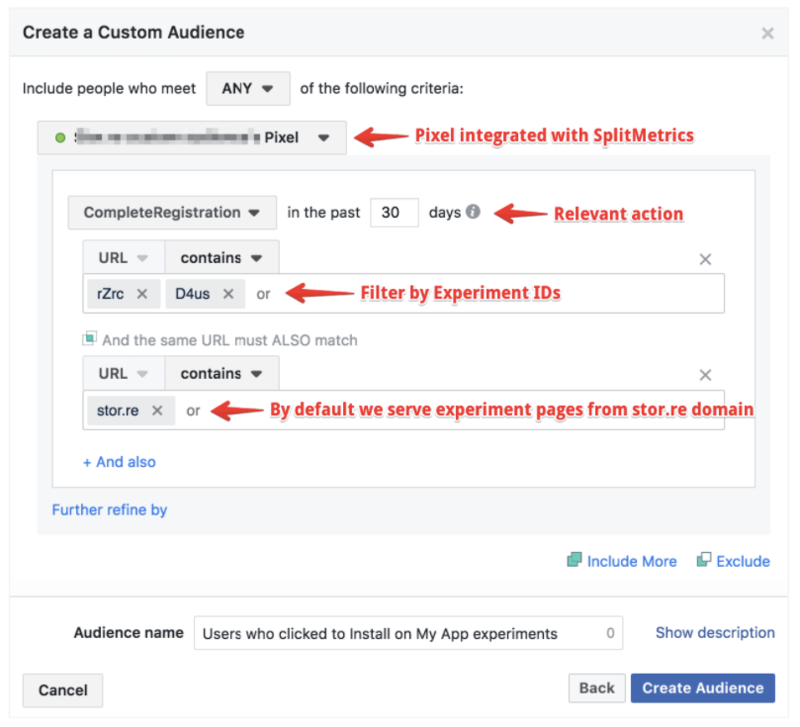 If you run A/B experiments with SplitMetrics and integrate them with the Facebook Pixel, you can get even more insights into users behavior on product pages and advance the efficiency of your marketing activity. 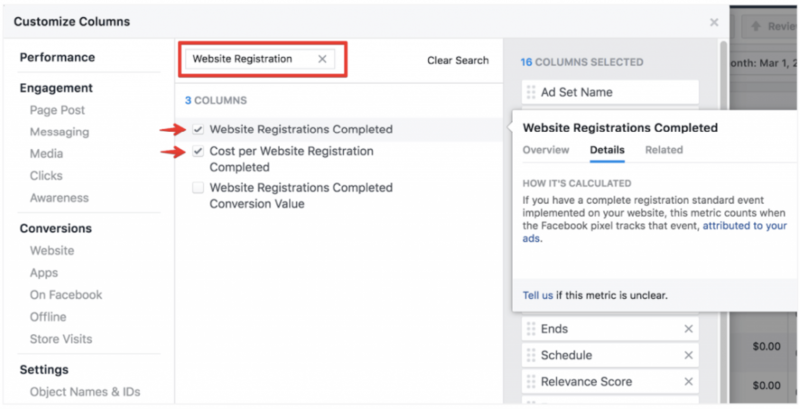 better conversion rate and lower cost per install: as you are able to target your campaigns at users that are more likely to perform the desired action optimizing current and future Facebook Ads campaigns for actions that users have taken on your SplitMetrics landing pages (e.g page view, any exploratory action or click to install). 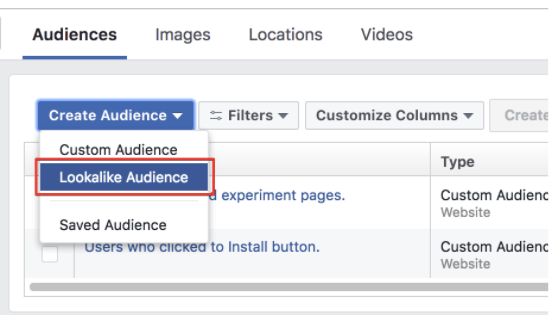 better audience: create custom audiences in Facebook Ads and utilize them to target users that have taken some action within a SplitMetrics experiment. You can also retarget users that have explored your product pages under test or converted in the course of your previous A/B experiments. 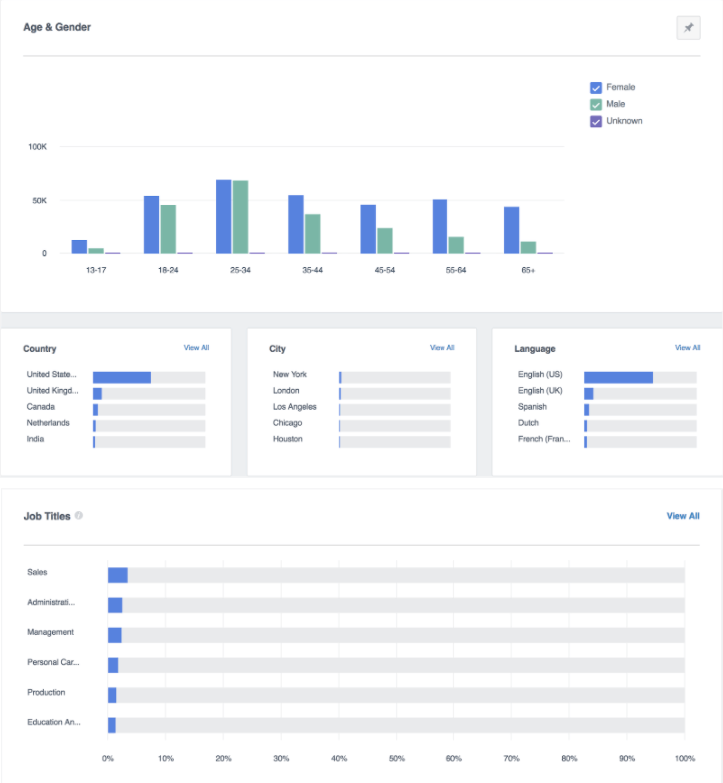 better insights into experiments: track actual conversions on Facebook Analytics for the better understanding of such audience characteristics as gender, age, and behavior patterns. 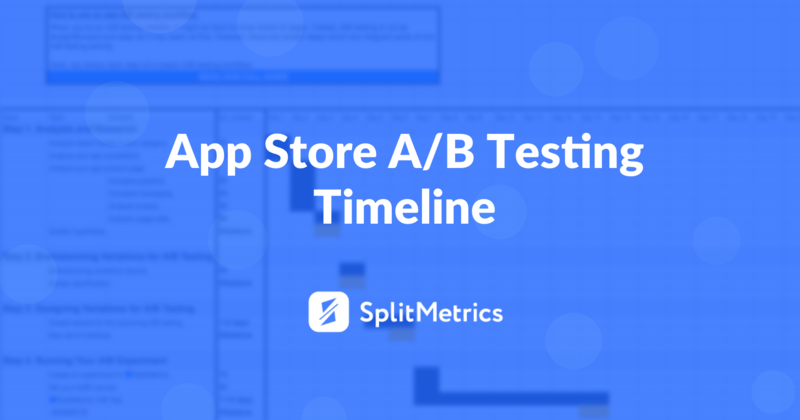 refinement of pre-launch activity: start experimenting with different audiences, placements, and banners even before an app launch using SplitMetrics pre-launch experiments. 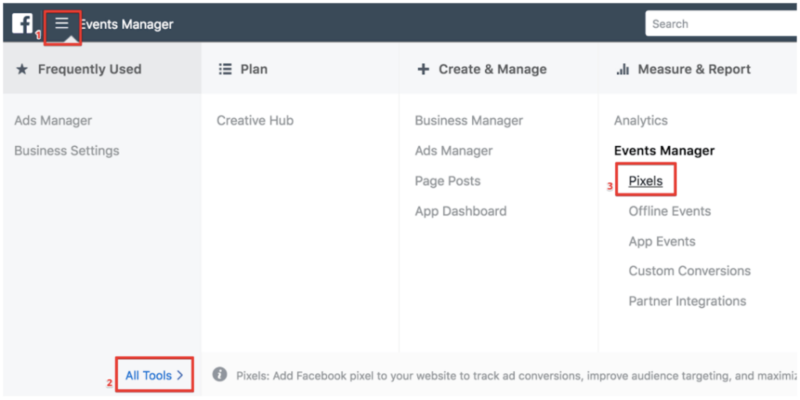 Go to Facebook Ads manager > Tools > Pixels. Click the ‘Create a Pixel’ Button. Name your pixel, accept Facebook Pixel terms, and click ‘Create’. When choosing a name for your pixel, keep in mind that you get only one pixel for each ad account. Thus, the name should represent your business in general rather than a specific campaign. You need to obtain your pixel ID. 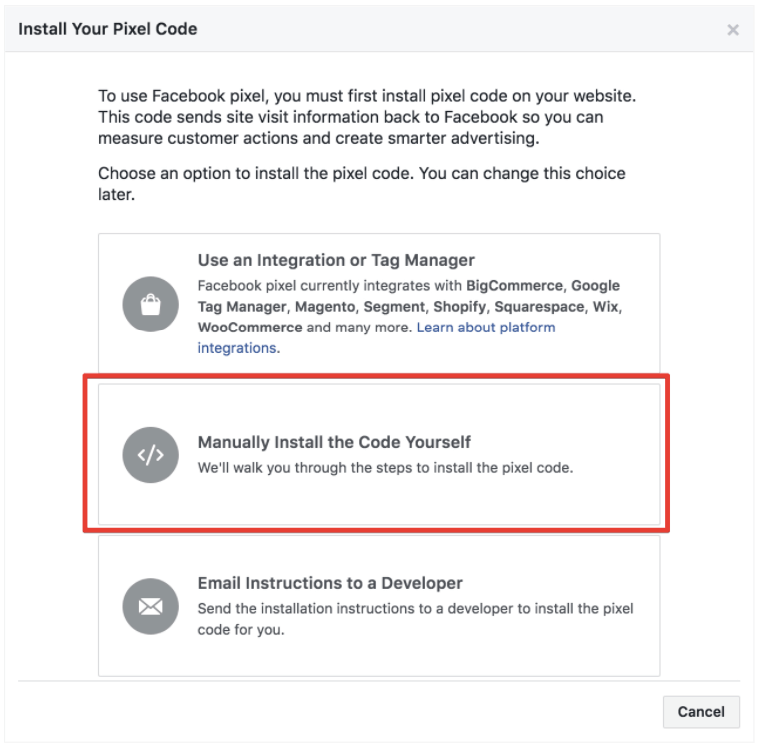 Select the option ‘Manually Install the Code Yourself’. Scroll through the code and look for a string of 15 numbers. That’s your Pixel ID. Copy it. 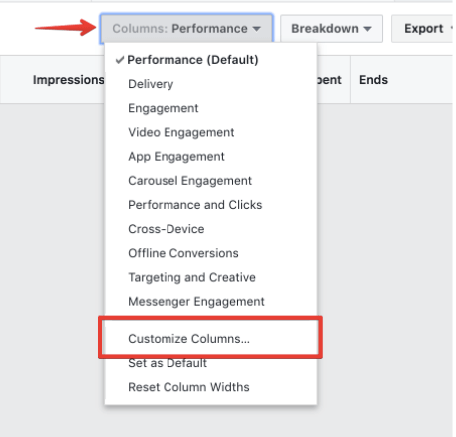 For each running SplitMetrics experiment you want to connect to the Facebook Pixel, go to an experiment Report Page > Integrations > Facebook Pixel. Note that you cannot integrate pixel with drafts or finished experiments. 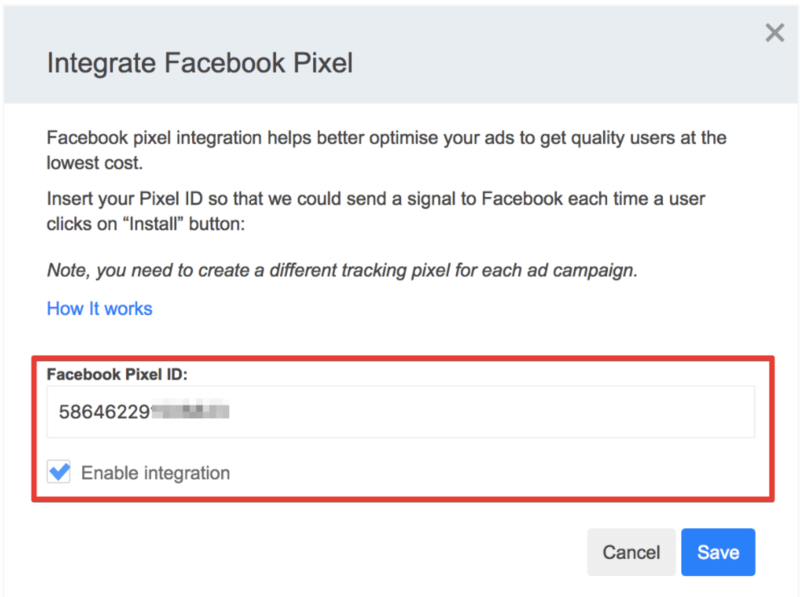 Paste your Facebook Pixel ID into the corresponding input line, check ‘Enable integration’ and click ‘Save’. PageView – fires when an experiment is fully loaded on a user’s mobile web browser. This way you can see how many page views/sessions each experiment received. Mind that a particular experiment can be filtered by its page URL. ViewContent – fires when a user interacts with your experiment page, e.g scrolls the page, clicks to read more, clicks to view a screenshot, scrolls through screenshots gallery, etc. As in the case of PageView, a particular experiment can be filtered by its page URL. CompleteRegistration (or InitiateCheckout) – fires when a user clicks the ‘Install’ button. Once again, there’s a possibility of filtering a particular experiment its page URL. 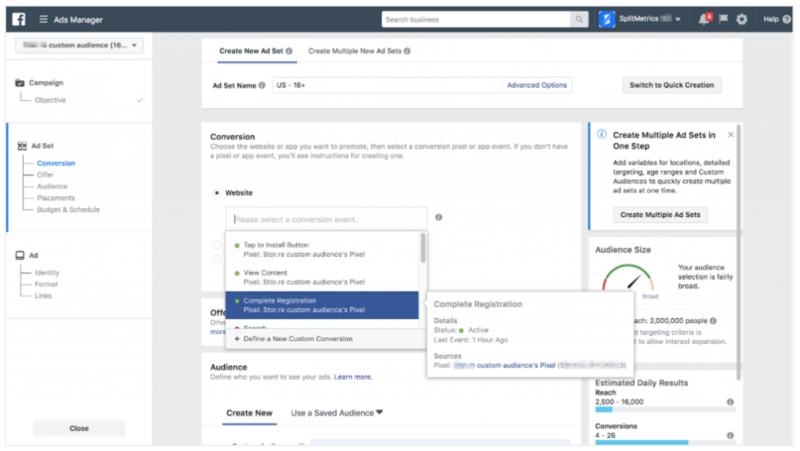 Start creating a new Ad campaign on Facebook Ads Manager, choose ‘Conversions’ as your campaign marketing objective. Fill in the ‘Campaign Name’ input line and click ‘Continue’. View Content – choose this event if you want to target the users that are more likely to take some exploratory action (e.g scroll the page, click to read more, scroll through screenshots gallery, etc.). We recommend using this event when you have less than 500 of installs on your A/B experiment page. 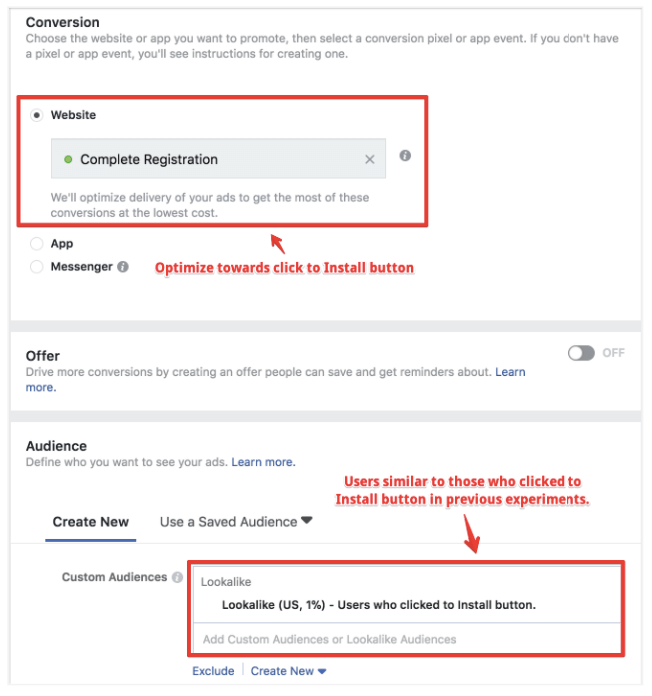 Complete Registration – choose this event if you want to target the users that are more likely to tap the ‘Install’ button on a SplitMetrics experiment page. Complete all other relevant settings (Audience, Placements, Budget & Schedule, Ads) and run the campaign. 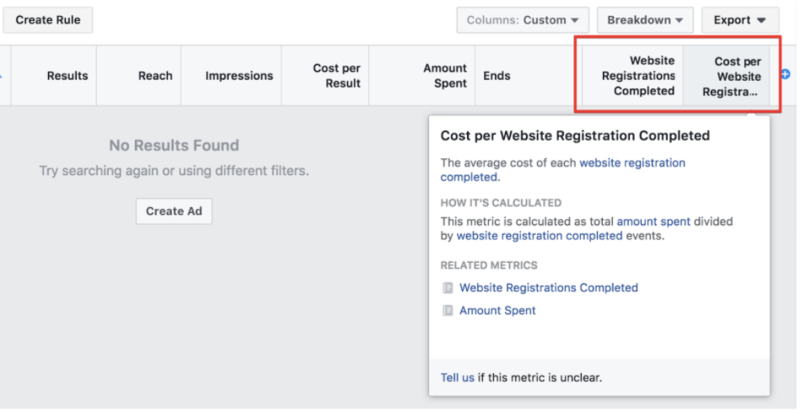 To view the number of Conversions and Cost per Conversion right from your Facebook Ads manager, you need to setup custom columns. ‘Cost per Website Registration Completed’ (cost per install on your experiment page). Click ‘Apply’ and see the actions related to SplitMetrics experiments alongside with other metrics such as Spend, Impressions, Clicks, etc. 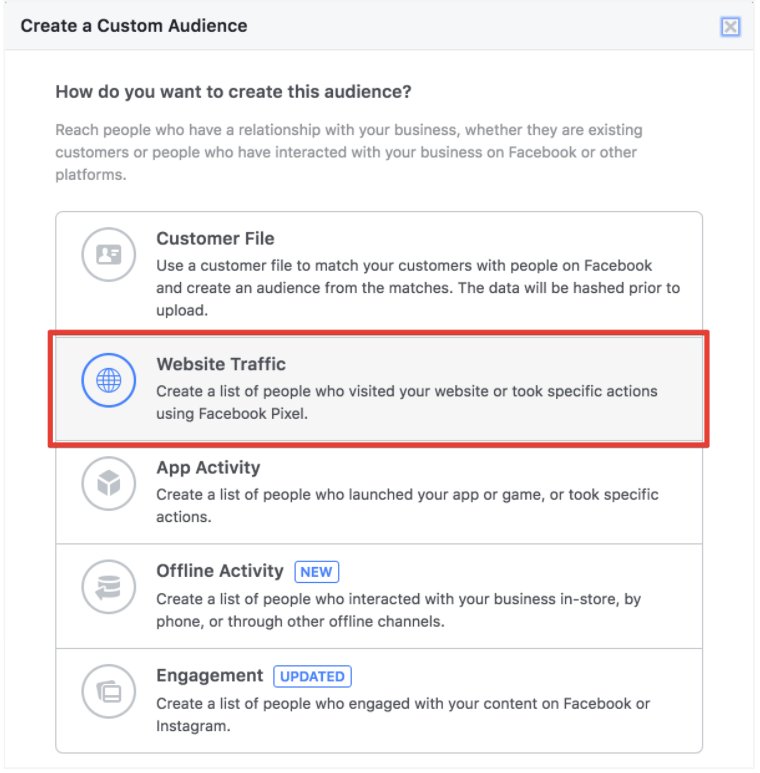 The integration of SplitMetrics with the Facebook Pixel makes it possible to create custom and lookalike audiences from the users that took a specific action during your A/B experiments. That can take you targeting to the whole new level. 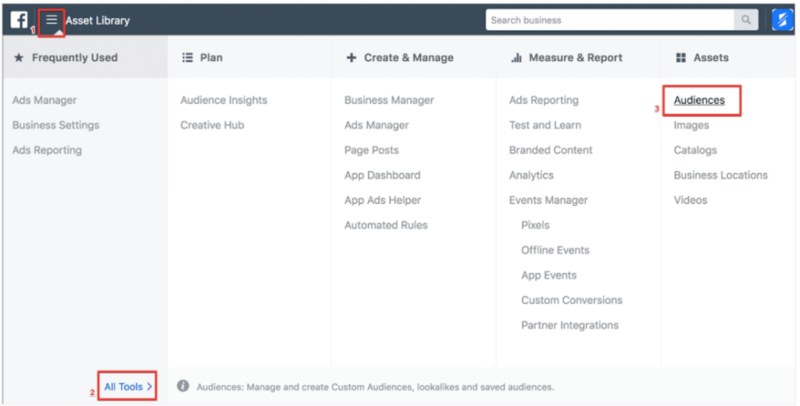 To create Facebook Audience, go to Facebook Ads manager > Tools > Audiences. To create custom Audience based on some action that users took on your experiment pages, click ‘Create Custom Audience’. Choose the ‘Website Traffic’ option. 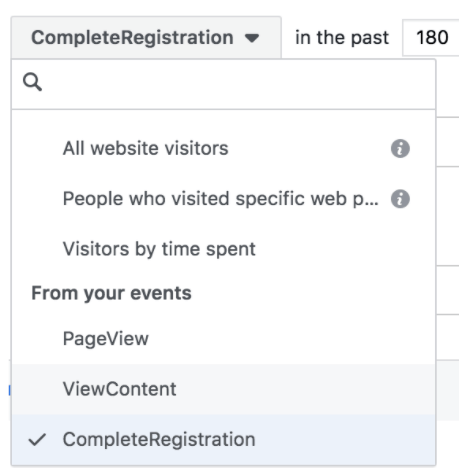 Visits on Experiment Pages – you can include (or exclude) the users that visited any experiments or some specific ones. You can also add users that spend enough time on your experiment pages. View Content – choose this event if you want to include (or exclude) the users that took an exploratory action. It’s better to use this event only if you have a small number of installs on your experiment page (<500). Complete Registration – choose this event if you want to include (or exclude) the users that tapped the ‘Install’ button on a SplitMetrics experiment page. It’s recommended to use a wider lookback time range (up to 90 or 180 days) to reach more users. There is an option of refining your audience by Device (iOS, Android, Desktop). Project ID – a unique internal identifier of a group of experiments related to one application (project). Experiment ID – a unique internal identifier of a SplitMetrics experiment. Then fill in the ‘Audience Name’ input line and click ‘Create Audience’. 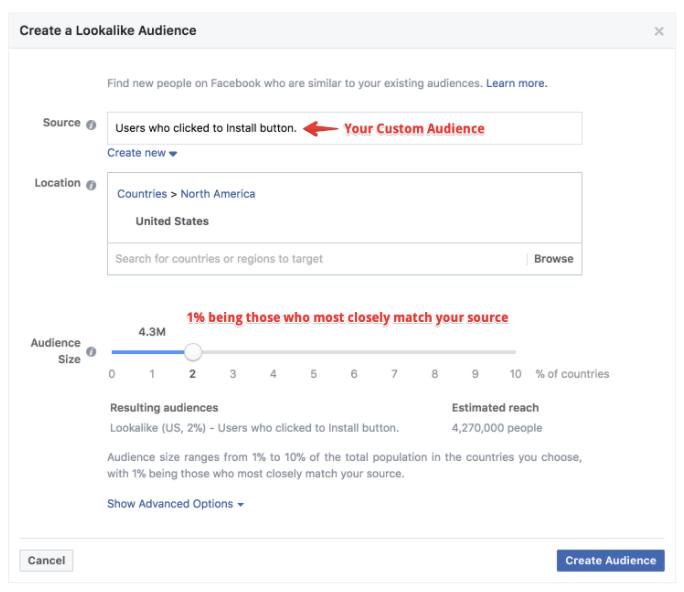 Mind that it may take a few minutes to finish the matching of users from SplitMetrics experiments to people on Facebook. We’ve noticed that advertisers start to achieve notable efficiency for their ads when the size of their ‘Custom Audience’ reaches at least 1,000 matched users. So try not to limit the size of your audience by a very restrictive filter and build audiences with at least 100 users in size. 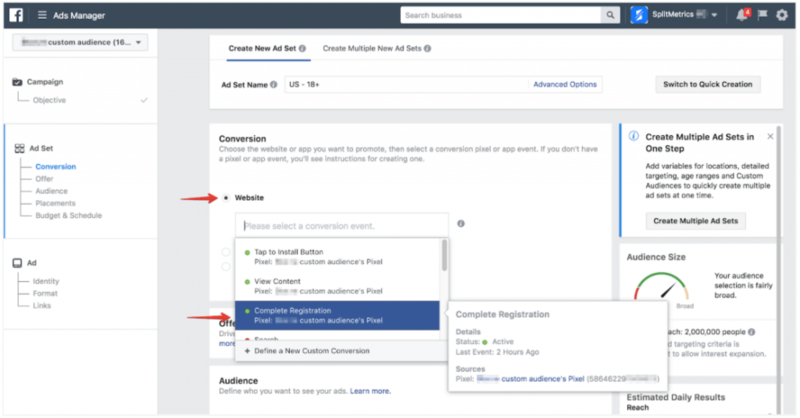 Now you can proceed with creating a ‘Lookalike Audience’ from your ‘Custom Audience’. It will help your ads reach people similar to the users who visited, explored or took some action in the course of your previous A/B experiments. 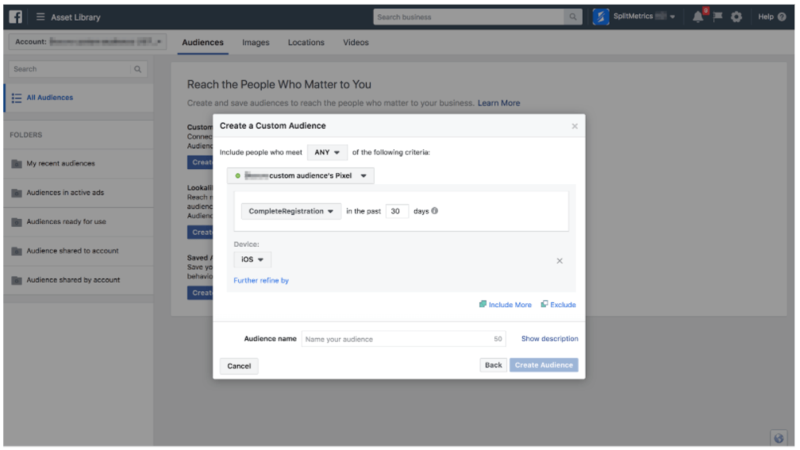 Select the ‘Custom Audience’ that you’ve created in the previous steps as the ‘Source’. Pick countries or regions for your new ‘Lookalike Audience’. Audience size ranges from 1% to 10% of the total population of the countries you have chosen. Mind that if you keep the range within 1%, the audience will be represented by the users that match your source more accurately. 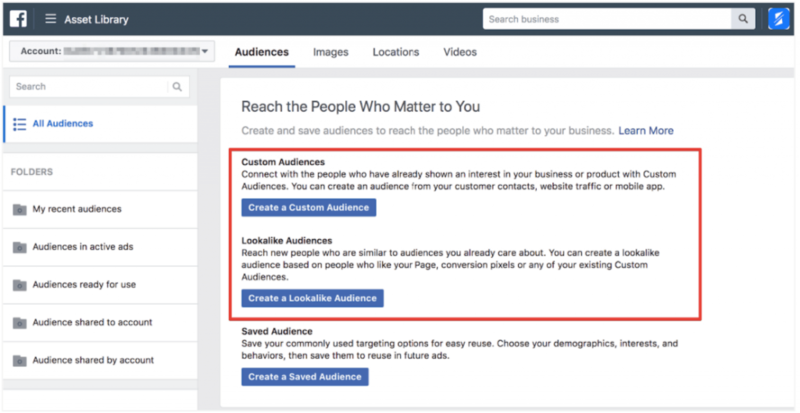 Congratulations, now you can use better audience settings for your Facebook ads. 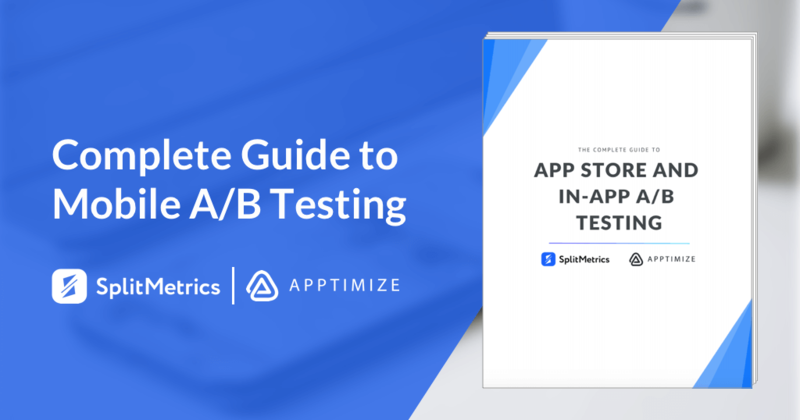 Along with Conversion optimization, it gives you powerful tools to optimize your next ad campaigns for A/B experiments on the SplitMetrics platform. 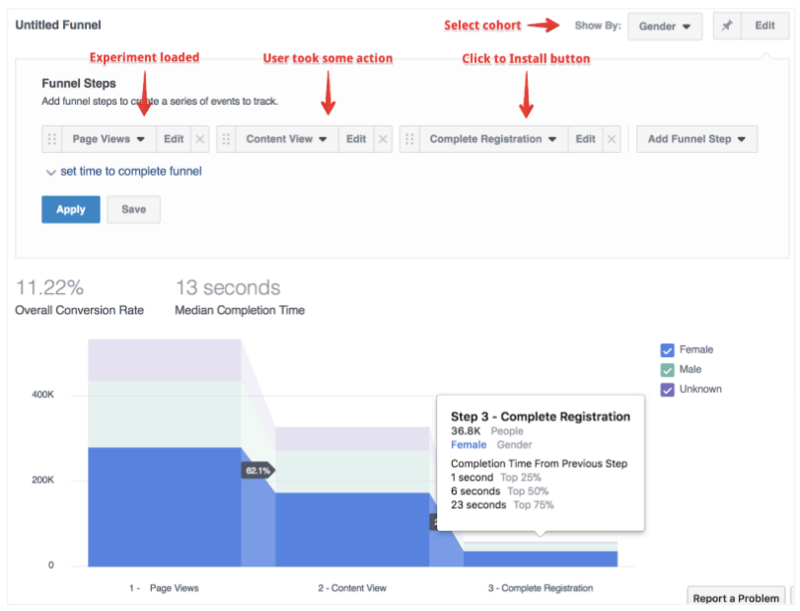 Funnels give you the opportunity of optimizing your user experiences and journeys by allowing you to measure conversion for a sequence of actions (view / explore /install) people take on your experiments. This means you can learn more about conversion rates and completion times for every step on a user’s journey in the course of your A/B experiment. You can always choose a certain segment to view a funnel for a more specific group of users getting more granular insights. 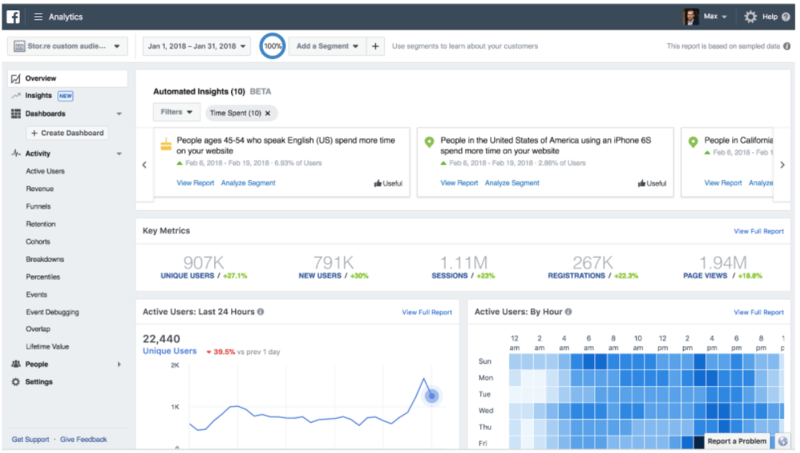 Automated insights are possible thanks to advanced machine learning and expertise in growth that Facebook Analytics uses. Thus, it’s able to provide valuable insights and trends automatically. Rich demographics that accompanies audience insights helps to understand your customers and potential users at a deeper level and adjust your marketing activity with these particular qualities in mind. 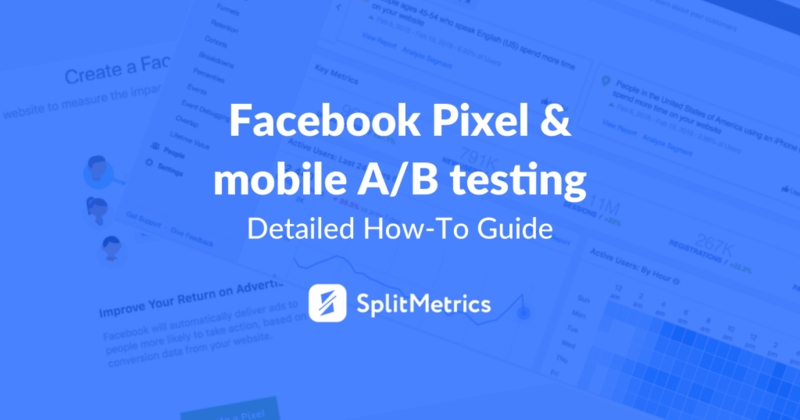 If you use Facebook traffic for your A/B experiments, it’s definitely worth integrating the Facebook Pixel with SplitMetrics. 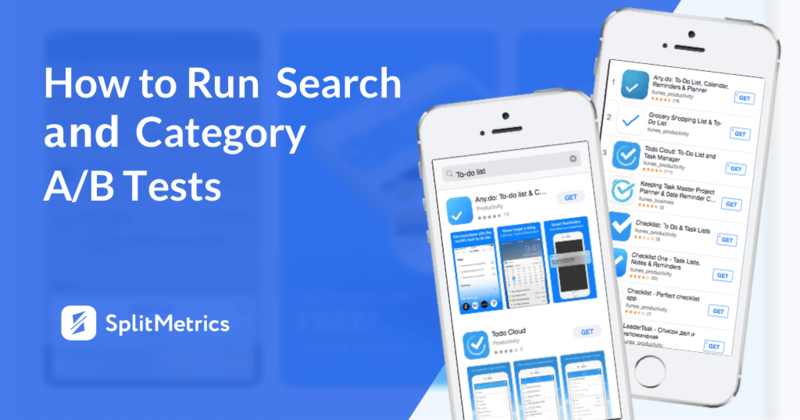 Not only will you avoid overpaying for your ads and optimize cost efficiency of your marketing campaigns, but also get an even better understanding of your target audience which may become a real game changer for your app’s performance.